Market Monday is a Virtual Flea Market of selling sites featuring everything from OOAK creations and vintage funds to arts and craft supplies. 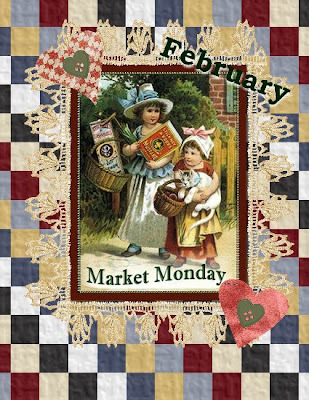 The Market is open all week 24/7 so have fun browsing and hope you find something perfect for your Valentine! Thanks so much! My first time linking since joining ECS! How fun! Thank you for helping me get started, by introducing my brand new Etsy shop, Vintage Treasures by Grandmalay! Thank you so much for the reminder Melody! What would we do without you? !